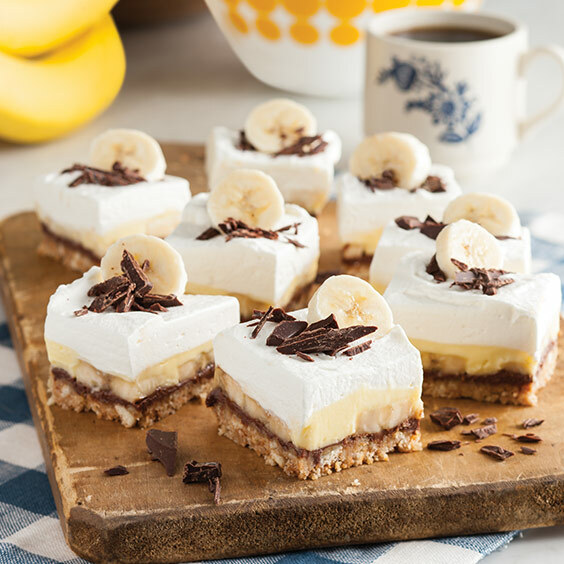 These Banana Pudding Bars are a different take on your favorite Southern dessert. A cookie crust layered with rich chocolate, creamy pudding, and dolloped with a fluffy topping make a mouthwatering treat! Line a 9-inch square baking pan with foil, letting excess extend over sides of pan. Spray foil with cooking spray. For crust: In a medium bowl, stir together all ingredients. Press into bottom of prepared pan. Freeze until firm, about 15 minutes. For filling: In a medium microwave-safe bowl, cook chocolate and ⅓ cup cream on medium in 30-second intervals, stirring between each, until mixture is melted and smooth (1½ to 2 minutes total). Spread chocolate mixture onto crust. Top with banana slices. 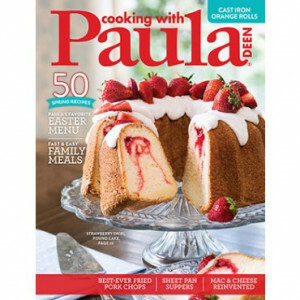 In a medium bowl, beat pudding mix, milk, and remaining ¼ cup cream with a mixer at medium speed until very thick, about 2 minutes. Spread onto bananas. For topping: In a medium bowl, beat all ingredients with a mixer at high speed until stiff peaks form. Spread onto pudding mixture. Cover and refrigerate for at least 4 hours before serving or up to 8 hours. Using excess foil as handles, remove from pan, and cut into bars. Garnish with chocolate and banana, if desired.